Grey nomads aren’t the only ones who will appreciate the nostalgic photos and vintage designs of the caravans and campervans that feature in these books. Exploring how people refurbish and customise their vehicles, these books each feature over thirty stylish modern-retro designs from all over the world. The campervan book is sectioned off so that models or makes come under different headings. The well-recognised VW High-Top, for example, comes under the ‘Simple Life’ chapter, whereas you will find the large Winnebago Brave in the ‘American Beauties’ section. Each campervan is photographed on the road, with its most redeeming features and some interior shots thrown in for good measure. Likewise, the caravans book is also split into several categories including ‘Country Cottage’, ‘New Retro’, ‘Silver Bullets’ and ‘Trailer Park Treasures’, to name a few. 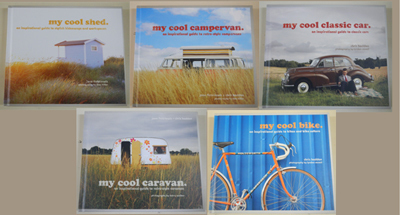 This book follows the same format as its campervan sister- the caravans are photographed in the spot where they lay, and a series of interior photos illustrate what the owners have done to make the living space comfortable. If there’s one thing I’ve learnt over the years, it’s that you don’t get between a man and his classic car. Often receiving more attention and care from an owner than the wife and kids will ever get (unless they suddenly sprout a shiny bonnet or luxurious leather seats), classic cars always have a story to tell. 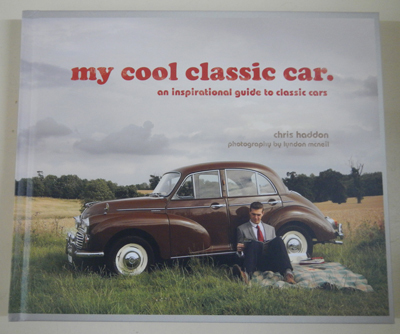 From temperamental driving histories and rust patches, to immaculate paintjobs and shiny chrome fittings, this book explores all the things that make classic cars such a joy for those who love them. There are plenty of exterior and interior photos of the cars that are represented, as well as stories from the owners telling how they came to own such stylish automobiles. There are also car notes on each of the models, so enthusiasts can learn a little bit more about each car featured. 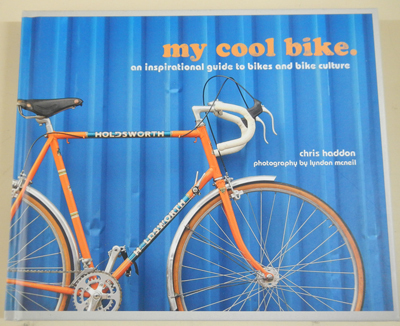 This book explores everything bike-related, from the cycling meccas of Amsterdam and New York, to the workshops where they are lovingly put together. All types of bicycles and their owners are represented too- bicycle polo team players show off their skills on the field, while several bicycle engineers show off their less-than-conventional inventions (including one bike that looks more like a large steampunk-style cog, rather than a mode of transport! )Of course, some more recognisable forms are also present, with the increasingly popular retro style rating a mention, as well as sleek road bikes, sturdy mountain bikes and trusty postman-style bikes. If you’re not really familiar with cycling as a sport or pastime, your eyes will be opened by the eccentricity of some of the machines featured in this book. You may have heard the saying that a man’s house is his castle, but how about applying the same idea to sheds? This book features over thirty-five sheds, cabins and beach houses from around the world- perfect little hideaways for their owners who want to escape the daily grind of everyday life. These buildings have been converted for a myriad of uses (artist and music studios, gardening havens and creative workspaces), and many are just as well furnished as you would find in your average house. 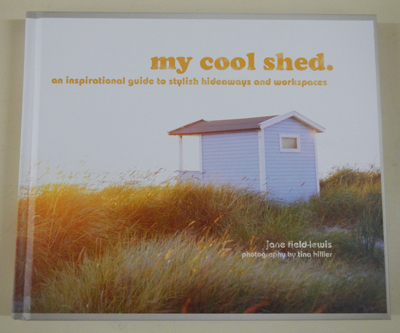 In fact, plenty of the ‘sheds’ in this book could easily be turned into living spaces. Many different styles of architecture and interior design are explored in this book- from a lakeside fishing shack to a refurbished shipping container to the humble hut at the end of the garden- and you would be hard-pressed not to find a building of interest. Before you know it, you’ll be wanting something exactly the same at your own place!